Today, I'm over at The Graceful Mom's blog talking about practical toy storage ideas. Please hop on over, read it, and weigh in! You'll be hearing from Maureen on my blog. Enjoy! "I Found Life’s Pause Button"
It’s so cliché to say that our kids grow up too fast. When they’re babies and we’re mired in the thick of it, we often don’t feel like they’re growing up quickly. But we’ll often hear this phrase from a wiser, more experienced mom. Then when our kids grow up a bit, we gain perspective. We can look back and see how little they once were. I have joked with friends that I’m always looking for life’s pause button. My kids are growing up too quickly! And the older they get, the faster they seem to grow. My oldest turned 9 this summer, and it really does feel like yesterday that he was born. Plus, he’s halfway to 18 when he’ll be fleeing the nest! Just today, I had a moment with my kids that truly felt like we hit the pause button on life. 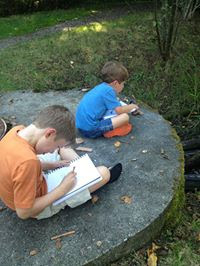 I homeschool my two boys, and our curriculum calls for nature journaling. Essentially, we head outdoors with our drawing books and a few pencils, find something interesting in nature, and sit and draw it. The experience was amazing. My kids were completely into it. What felt so magical about the moment wasn’t the drawing or the sitting together. It was all about observing and experience nature together. Before today, I’d look at a dragonfly and think it was kind of gross and wanted nothing to do with it. 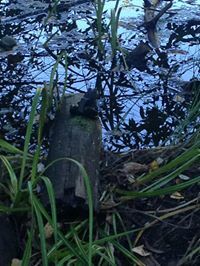 Today, we saw many dragonflies, two of which were engaged in some kind of game or romance as they flitted around our local pond. I have a completely different appreciation for dragonflies now. My boys and I also came across several toads and even a wild bunny. They named them both. As we drew, we wrote about what we could see, feel, hear, and smell. It was an experience for the senses. They didn’t want to stop drawing. In addition to being all about nature, we had nowhere to rush off to. It is very intentional that my kids don’t have too many activities outside the home. I like to give my kids time to be kids. So as we sat in nature together on a perfectly beautiful day, we were able to sit and draw for as long as we wanted. In that perfect little moment, time stood still…as if we had hit the pause button on life. Maureen Monfore is a mother of two boys, a freelance writer, and the author of ChildwiseChat.com and the eBook, Live in Harmony with First-Time Obedience. 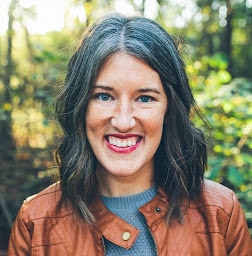 A loyal follower of the teachings of Gary and Anne Marie Ezzo, she is passionate about teaching children to obey to pave the way for fun, love, learning, and essential moral development.